Recently, Chris Piscitelli, Director of the MDVA Cemetery and Memorials Program was interviewed for the television program Veterans Forum. 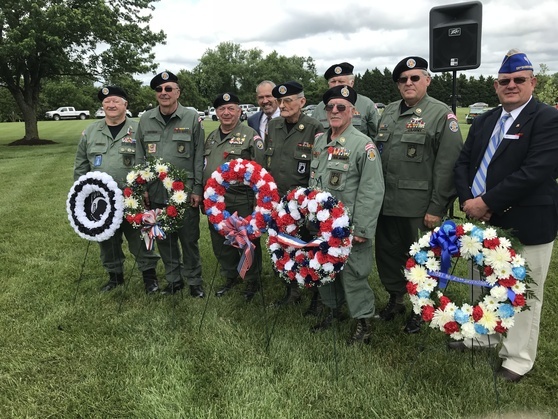 Please use the link below to view the video and learn more about the MDVA Cemetery and Memorials Program. Secretary George Owings joins the Maryland Veterans Cemetery Committee at the Eastern Shore Veterans Cemetery. From left to right: Secretary Owings, Becky Dunn, Ruth Higgins, Mary Griffith, John Smith, Connie Erdell and Ron James. Recently, the Cemetery Committee re-furnished the Honor Guard Building. Thank you to the Eastern Shore Veterans Cemetery Committee for your donation and your support! 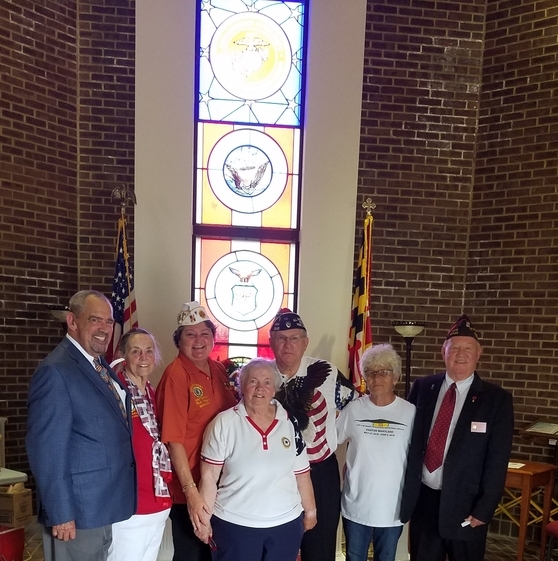 Maryland Veterans Commissioners and MDVA staff attended Memorial Day observances across the state. 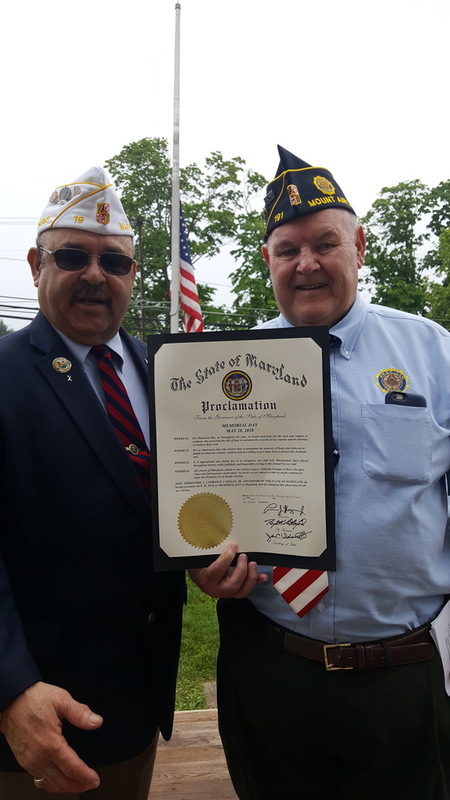 In this photo, Commissioner Ronald Holcombe is presenting the Governor's Memorial Day Proclamation to Commander Robert L. Baker of American Legion Gold Star Post 191 in Mt. Airy. This photo was taken at the Memorial Day Ceremony in Annapolis. 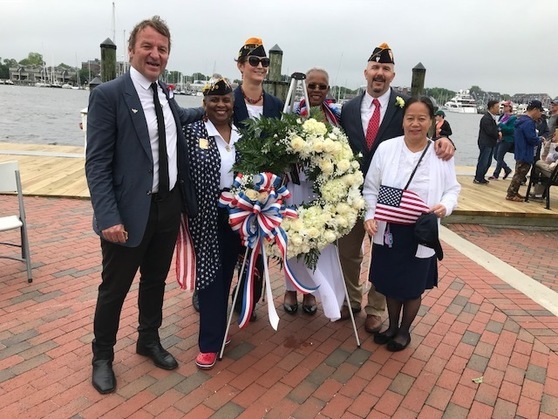 From left to right: Annapolis Mayor Gavin Buckley, Maryland Veterans Commissioner Penny Collins, Fleet Reserve Association (FRA) Shipmate Valerie Toulette, Dr. JoAnn Fisher who was the Keynote Speaker, FRA Shipmate John Bocchicchio and FRA Shipmate Kim Biggs. Secretary George Owings recently pinned former Maryland Delegate J. Ernest Bell with the Vietnam Veteran Lapel Pin. Delegate Bell served as a Captain in the United States Marine Corps from 1966 - 70. 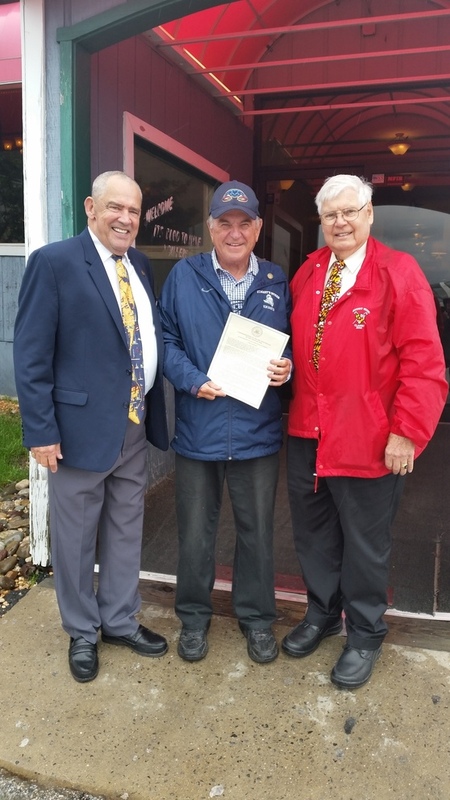 Shown in photo from left to right: Secretary Owings, Delegate Bell and former Maryland Delegate John F. Wood, Jr., who now serves on the Maryland Veterans Home Commission. The Governor's Office on Service and Volunteerism is currently accepting nominations for the 2018 Governor's Service Awards. In its 35th year, the Governor's Service Awards honor individuals and groups for exemplary service and contributions to Maryland's communities. Special categories include Veteran, focused on individuals who have served or are serving in the armed forces and volunteer in a Maryland community in a capacity outside of paid employment. The nomination deadline has been extended to Wednesday, June 13 at 11:59 p.m. EST. To submit a nomination or to learn more, visit http://gosv.maryland.gov/governors-service-awards. Veterans Seeking Emergency Treatment - Who Pays?